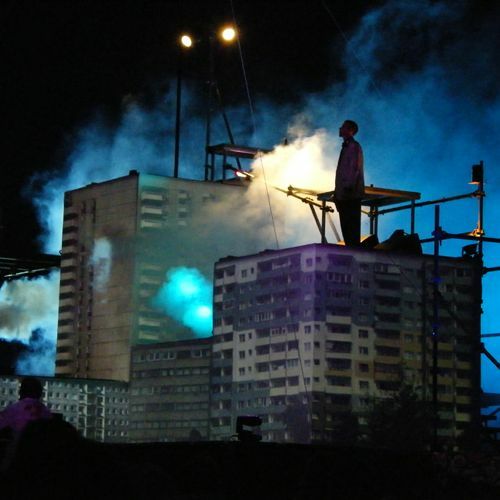 A large scale urban circus show with unique 3D video mapping onto a playground-like set of boxes and ramps. 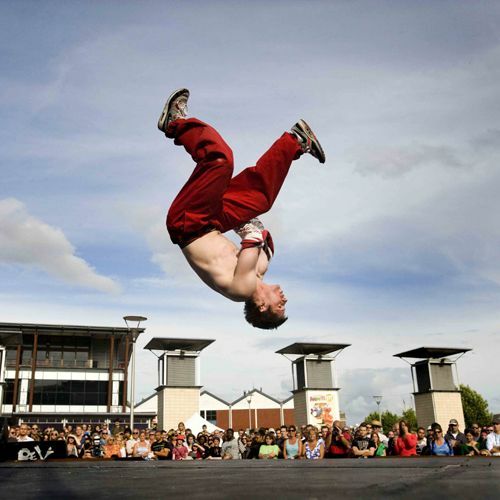 Featuring a hugely talented cast of beatboxers, breakdancers, trials mountain biking, freerunning and circus, this show breaks the mould. 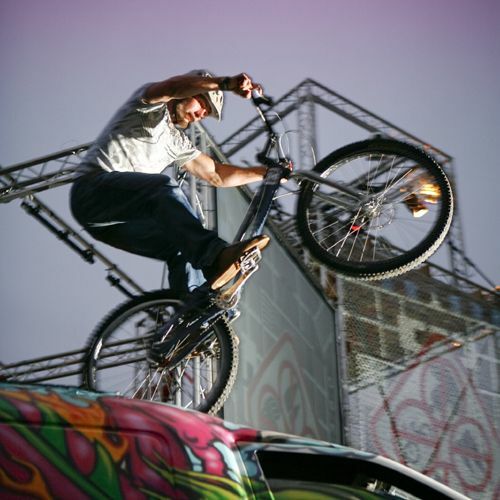 It is accessible, crowd-drawing, inspiring and exciting. Our production company has been experimenting with video technology since 2008 and the leaps in what is possible have been immense. 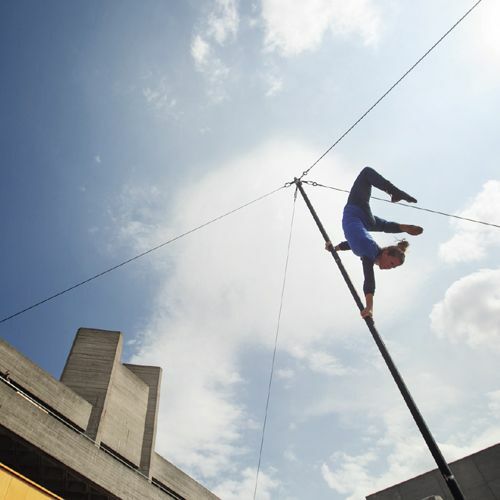 Evolving as technologies develop and the cast learn new skills, this show is different every time we perform it, moulding itself to new performance spaces, environments and audience expectations. 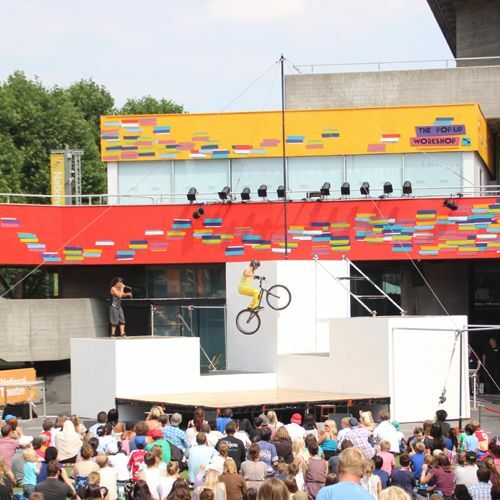 Performed to large crowds and great acclaim at the National Theatre, and BT London Live in 2012, and for young crowds in Bolton, Telford and at Sheffield Motopoint Arena, it has been as successful in a recreation ground for an audience of families as in a hotel ballroom for a trendy marketing conference. 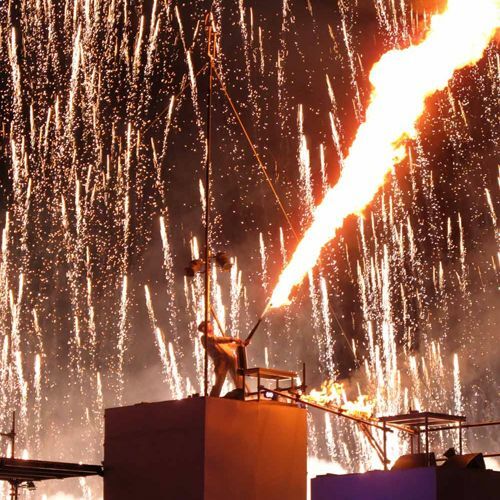 Includes fire and pyrotechnic effects, live music, video projections and circus rigging. 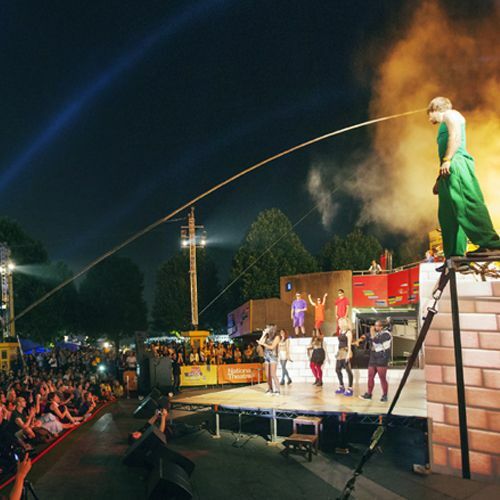 This show is ideally performed outdoors after dark, but can be recreated for indoor performance. 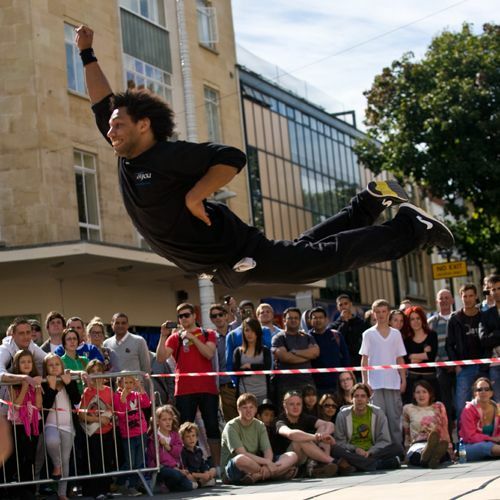 They can also offer urban workshops and demos in the leadup to the performance.